Splash Lite gives your Windows PC a fully-functional, high quality and freeware high definition video player. 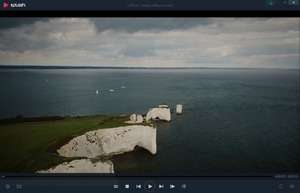 The free video player plays traditional formats and can playback high-definition movies up to 1080p, provided your current hardware setup allows for the playing of HD movies. Splash Lite offers a largely self-explanatory interface with direct access to all areas of the program from the main interface. Besides the usual playback functions which are available in this freeware HD video player, the usage of subtitles must be manually selected. Version 2.5.0.0 is a freeware program which does not have restrictions and it's free so it doesn't cost anything. For security reasons, you should also check out the Splash download at LO4D.com which includes virus and malware tests. Additional screenshots of this application download may be available, too. Splash Lite has a presence on social networks.